AG2R La Mondiale will field a strong line-up for the upcoming Fleche Wallonne, which is set to take place on Wednesday. 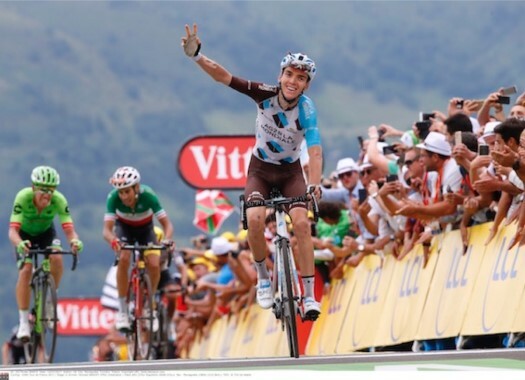 Romain Bardet stands out on the list of riders for the French team. The two-times podium finisher at the Tour de France will be joined by Jan Bakelants and Alexis Vuillermoz, among others. Vuillermoz had a strong start to his season but struggled a bit in recent weeks. The Frenchman hopes to return to his old shape at La Fleche. "As a way of preparation, I lived through a Tour of the Basque Country that was true to its reputation: difficult both for its course and for the weather. Regarding my form, I remain cautious. I hope to reverse the trend of the last few weeks and rediscover the good legs I had early in the season," he said. "The Fleche Wallonne is always an atypical race. On paper it is perhaps the one that suits me the best. But in spite of everything I remain convinced that I can also shine at Liege-Bastogne-Liege, which reminds me a little of Il Lombardia. "How can I describe this event? I would say it is a hell of a rat race in the last kilometers, and then it’s a lottery to find the best position at the foot of the wall. But that’s also a big part of Flèche Wallonne’s charm."